Dan Henry is a brand that’s gained a lot of traction in recent years, thanks to a collection of vintage-inspired timepieces that each speak to a distinct era in horological history. As such, I thought it would be fun to take a trip back in time to examine four of my favorite Dan Henry pieces, and pair them with a film star from that piece’s era who might have sported them on screen or off. Humphrey Bogart, admittedly, didn’t make any films of note during 1947, but he did rank as one of the highest grossing stars of that year regardless, and was an icon of the era as a whole. Not only was he truly one of the original kings of cool, but his style was unmatched. His actual timepiece during much of this era was the Longines Evidenza, a tonneau shaped watch on a leather strap. Given his masculine elegance, a kind of balance between toughness and suave like you might expect out of James Bond, a classical, but still kind of funky dress piece (much like the Evidenza) definitely fits the bill. That’s what the Dan Henry 1947 brings to the table. Many of its styling cues are classic, from the seconds subdial with blued hand to the applied Roman numerals for every other hour marker. 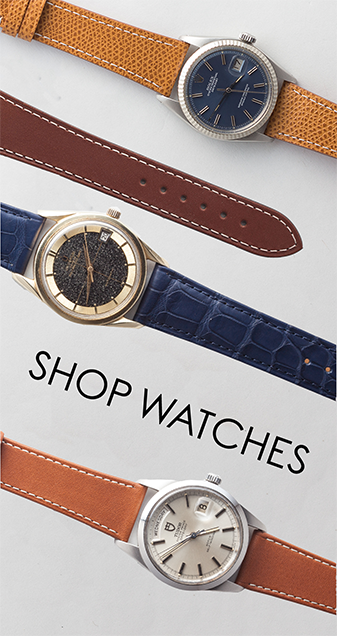 Its size, at 40mm, is still contemporary, while being relatively understated compared to many dress watches of today. I like to think this one would have gotten the Bogie seal of approval. McQueen was the textbook definition of cool throughout the 1960s and 70s. It’s difficult to quantify, but spend some time watching films like Bullitt or 1963’s The Great Escape, and it won’t be hard to figure out. 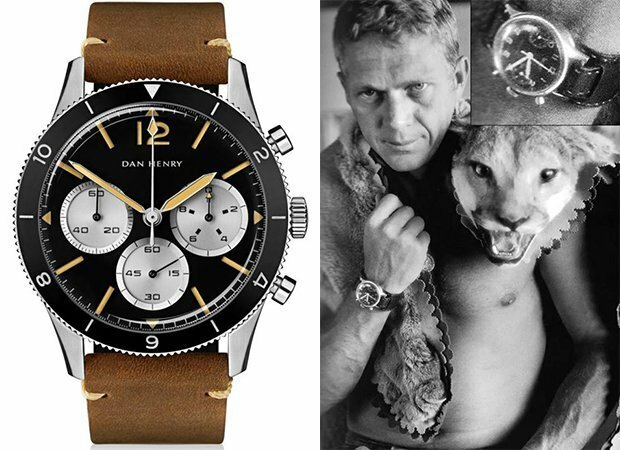 Though The Great Escape was a World War II film in its plot, the theme of the film, plus McQueen’s own penchant for military chronographs (see: his Hanhart above), the 1963 from Dan Henry is a definite match. It’s vintage styling is different from the Hanhart, in that it strikes a balance between minimalism and hyperfunctionality. Its rotating 12 hour bezel can be used as a sort of rudimentary GMT function as well, and the contrasting panda subdials are a sign of true iconic styling. For a guy as undeniably cool as McQueen, a watch like this one would look right at home on his wrist. The Dan Henry 1968 Dragster Chronograph is a racing inspired watch through and through. It feels very much like many of the other minimalist racing watches of the era (specifically something like the Omega Chronostop) in that it lacks even anything beyond the three hands at center and the subdial at 3 o’clock. Its black and red color combination is classic racing styling, and very much in tune with another iconic racing watch – the Paul Newman Daytona. Now, technically Paul Newman didn’t star in any films in 1968, but he did win Best Director for Rachel, Rachel at that year’s Oscar’s, so he was certainly relevant. Newman, beyond his work in Hollywood, was a prolific professional racecar driver, and while it was the Daytona that became synonymous with him, something like the Dragster Chronograph wouldn’t have been tremendously out of place either. So unlike the other choices on this list, here I’ve chosen to highlight a specific icon of the 1970s in both the film and watch worlds, rather than a specific actor. The role is Richard Dreyfus in JAWS, the classic shark film that terrified a generation of beach goers. 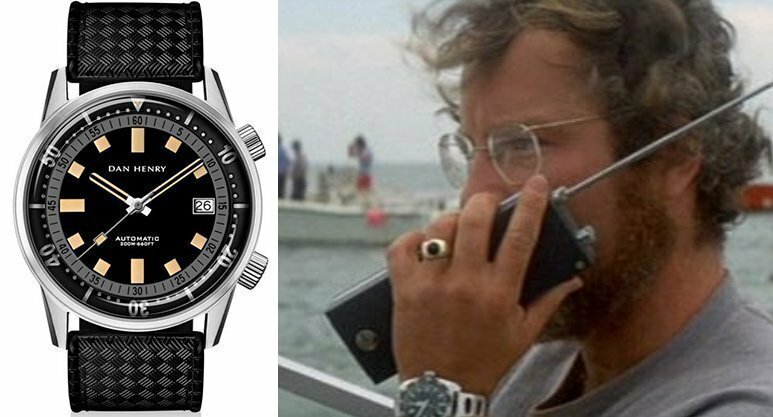 In the film Dreyfus wears an Alsta Nautoscaph, a watch that for a long time was elusive until Alsta revived it a few years back. 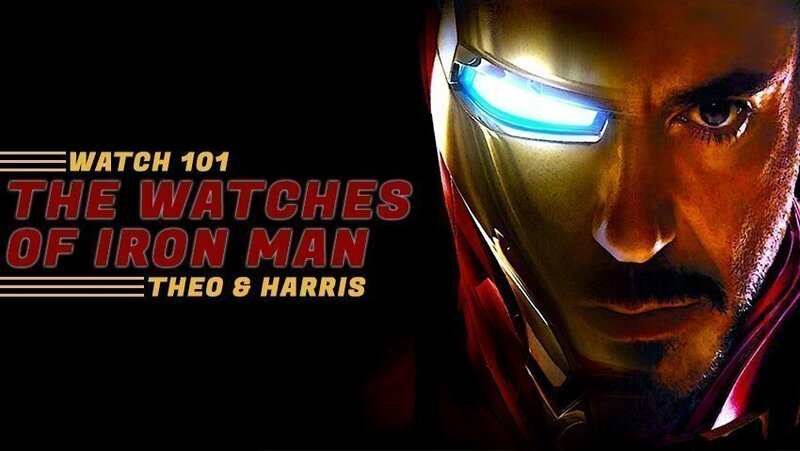 It’s a pretty standard dive watch, all things considered, but what makes it special is the fact that it’s also incredibly different, too. It’s bi-color bezel is used to very clearly indicate the first fifteen minutes of a dive, and it features broad, sword hands with plenty of lume. In a similar sense the Dan Henry 1970 offers the same kind of funky twist on what we understand to be the traditional dive watch. Modeled after the super-compressor style of case, it features two crowns, one of which controls the inner rotating bezel. Alright, geeks, that does it for this one. 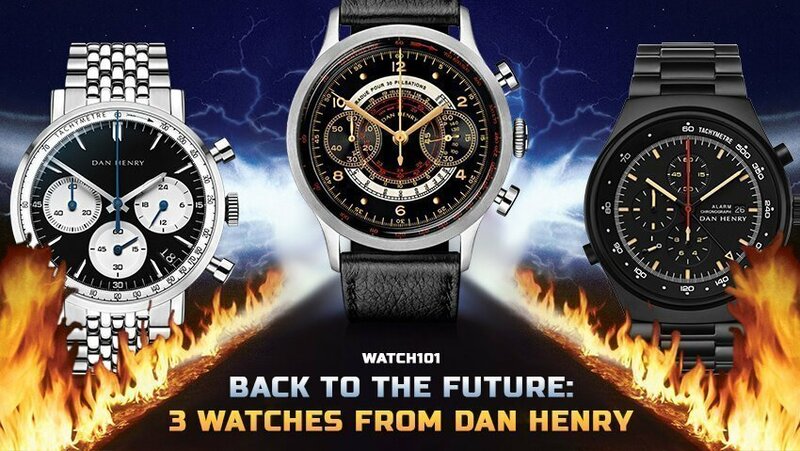 If you have any actors you think would be a good fit for any of the Dan Henry watches, let us know in the comments below and, as always, keep it classy, watchfam.